In one form or another, this defense appears in a large percentage of the car crash cases in Florida courtrooms. So, it’s very important to understand how it works and, more importantly, how to beat it. Most insurance companies use this defense to shift blame for the accidents away from the tortfeasors (negligent drivers) and onto the victims. For example, an insurance company might admit that its insured driver made an unsafe lane change but say that the victim’s excessive velocity was the accident’s real cause. Before a jury hears anything about multiple fault, a judge usually holds a hearing to determine if there is any evidence of contributory negligence. 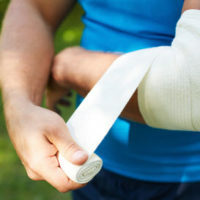 To return to the above example, the insurance company’s lawyers must prove that the victim was speeding and that infraction contributed to the Florida car accident in a meaningful way. Many contributory negligence claims fail at this point. Typically, emergency responders only give citations to at-fault drivers. Unless the victim got a speeding ticket, there is probably little or no evidence of speeding other than the tortfeasor’s self-serving statement. The insurance company must also use weak, circumstantial evidence to establish the second point. From a technical standpoint, The Sunshine State has one of the most victim-friendly contributory negligence laws in the country. Florida is a pure comparative fault state, so the judge divides damages only according to the jury’s division of fault. Assume the jury finds that the victim and tortfeasor are each 50 percent at fault. If the victim’s damages were $100,000, the tortfeasor must pay $50,000. But in many other states, including neighboring Alabama, the victim would get nothing under these facts. Alabama is a pure contributory negligence state, so any contributing fault, no matter how slight, means zero compensation. Voluntary Assumption: Not all liability waivers are truly voluntary. In fact, most of them are take-it-or-leave-it contracts of adhesion. The person must sign a non-negotiable waiver to participate in a particular event or activity. Known Risk: This second element often comes up in passenger injury cases. People who get in cars with drunk drivers assume theoretical risks, but people who get into cars with drivers that swerve all over the road assume known risks. There’s a very significant difference. Good attorneys should be ready for some common insurance company defenses. For a free consultation with an experienced personal injury lawyer in Brandon, contact Reed & Reed. We have four area offices (St. Petersburg, Lakeland, Tampa, and Clearwater).